PRIME Minister Narendra Modi on Wednesday accused the Congress and the TMC of being ‘sympathisers’ of Pakistan who wanted to break the morale of India’s security forces and make them ‘helpless’ in the fight against terror. Kicking off his campaign for the Lok Sabha election in West Bengal with rallies in Siliguri and Kolkata, Modi also trained his guns on TMC supremo Mamata Banerjee, callingherthe“speedbreaker” in the path of the State’s development who wanted poverty to stay so her “politics of poverty” can flourish. Attacking the Congress, the Prime Minister said the actual age of democracy in India was barely 15-16 years as“family rule stifled talent and spread the poison of casteism” in society. “I saw this sham manifesto (dhakosla patra) released by the Congress. It is meanttobreakthe morale of our Security Forces. “It promises removing AFSPA from disturbed areas like Kashmir.This is anattempttorenderour brave soldiers helpless in thefight againstterror,havetheir hands and feet tied,” Modi told an election rally in the north Bengal town of Siliguri. He accused the Congress of being “soft” on terror because of its“appeasement”politics,which was reflectedinitsGovernments scrapping tough anti-terrorlaws like TADA and POTA. “We too scrapped over 1,400 obsolete laws from statute books. We have also with drawn the AFSPA from some areas after peace returned there. The Congress’s election promise will help those peddling terror from Pakistan,” he said in Kolkata, accusing the Congress party of “playing with national security and trying to destabilise the country”. Modi said manifesto showed that Congress had no faith in Security Forces and the law of the land. “This chowkidar stands as a wall between the sham manifesto of the Congress and national security.This manifesto has come with an expiry date--May 23 (the day poll results will be announced). On May 23, both the Congress and its ‘dhakosla patra’ will be gone,” he said. 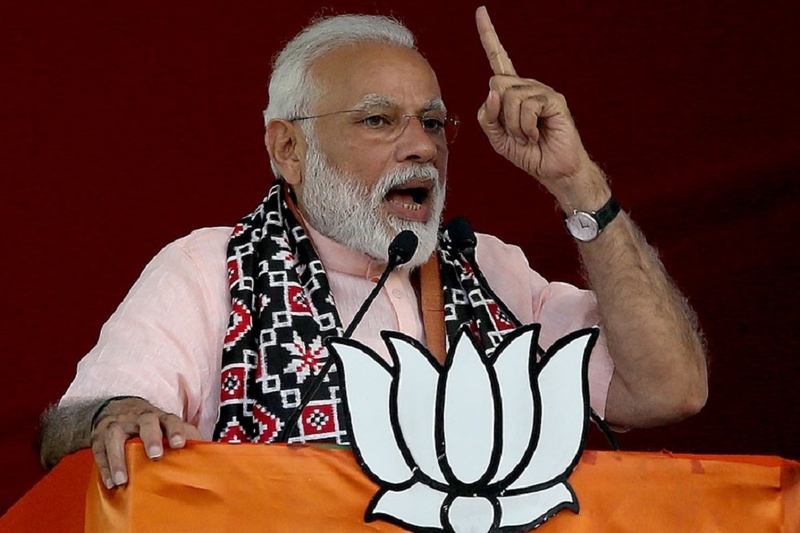 At both the rallies, Modi slammed Opposition parties for seekingproofofthedamagedone by the Indian Air Force in Pakistan’s Balakot where terror group Jaish-e-Mohammed’s training camps were targeted to avenge the killing of 40 CRPF troopers in Kashmir’s Pulwama. “When the wound has been inflicted there (in Pakistan), why do you (the Opposition) feel the pain. The ‘didi’ sitting in Kolkata feltthe pain more than it was felt in Islamabad, Lahore and Rawalpindi,” Modi said, taking a swipe at Banerjee, who had demanded proof of the extent of damage inflicted during the IAF raids in Balakot.